Unlock HTC Desire C - Safe IMEI Unlocking Codes for You! Unlock HTC Desire C Handset! In case your Desire C doesn't ask for the code and there is no designated field to enter it, please DON'T PLACE ANY ORDER, contact us first for support. 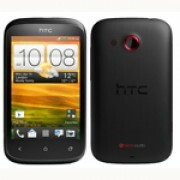 Are you looking to unlock your HTC Desire C phone to use it with Any SIM Card worldwide? If yes, SafeUnlockCode can do that for you with our Safe and Fast Unlocking Service! The process is easy and 100% Guaranteed to unlock your device! Our unlock codes works for the latest models of HTC, like HTC Inspire, Desire C White, Desire C Black, Amaze, Titan, Vivid, HD7 and many more HTC models! How to Unlock HTC Desire C Phone - Tutorial! Please find bellow a step-by-step guide to follow in order to unlock your HTC Desire C smartphone. NO technical skills required! Can you please help me unlock my handset from Canada Chatr. Do I need to request two codes for two phones with same phone brands? Can you unlock my HTC Desire C phone from Romania Cosmote? I wondered if you can help me unlock my HTC Desire C phone? Hi! Yes, we should be able to get a code for your phone. Please use the form for more details. Thank you!